Here at the family and cosmetic dental office of Copper Canyon Smiles in Murrieta, CA, our team of professionals is extensively trained in delivering all aspects of general, restorative and cosmetic dentistry services. In addition to serving patients with top-of-the-line care, we regularly attend continuing education courses and seminars in order to keep current with the latest technologies and information available to our profession. We believe that we offer the finest care in the Murrieta, CA area including Wildomar and Bear Creek, CA. In addition, for those moments you least expect, we are here to offer emergency dentistry when you require it. Whether you are interested in general check-ups and teeth cleanings for you or your child, or cosmetic treatments like Invisalign and teeth whitening, our team works with Dr. Rania Georgei to deliver the exceptional results that you desire. As a team, we are always seeking to learn, communicate and enjoy each day with our patients. We are especially interested in making all of our patients feel right at home! Each member of our team is a registered assistant, and our office staff has years of experience in treating young and adult patients alike. At Copper Canyon Smiles, you are always greeted with a smile. Our patients appreciate the kindness, integrity and patient focus that Dr. Georgei and our friendly staff provide. Copper Canyon Smiles offers state-of-the-art family dentistry as well as cosmetic dentistry. Contact our Murrieta office today for more information on our services or to schedule your first visit. Our team looks forward to serving you! Crystal is the Billing Specialist/ Treatment coordinator for our private family practice of Copper Canyon Smiles. Crystal grew up in southern California ,she is married and have four cute children.She enjoys spending time with her family and enjoys crafting on her spare time.Crystal has been in the dental field since 2004 .She takes great pleasure in helping our patients understand their insurance 's benefits.She is always complimented by our patients for her accuracy and for taking the time to make sure that each patient is taking care of. 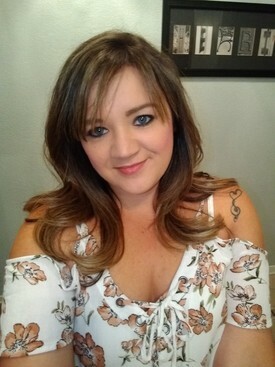 Lori is the treatment coordinator here at Copper Canyon Smiles. She enjoys being able to help give our patients the new smile they wanted and to make them feel comfortable at CCS. 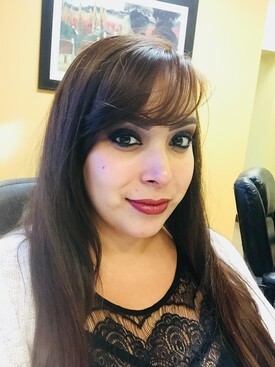 She strives herself i making sure all the patients leave happy and well informed.She has been in the dental field since 2008.She has extensive knowledge in front office operations.Her incredible organizational skills keep the team running smoothly.